Designers are a particular type of tourists. They travel to get inspired, to experience a foreign design culture that often inspires them in their creative practice and routine. Having lived, worked and studied in different countries, and constantly traveling to be part of design events around the world, I am very well aware of the positive effect that travel has on widening your design practice. It was after all the main reason for my design studio’s focus on cross cultural design. This is why I decided this year to start my first “Nomad office” experiment: Moving the office for one month to a new city, where we continue working and serving our clients as usual, yet benefiting from a new location to explore a new design culture. A one month change of location that allowed us to experience an environment in a slightly deeper way than typically shorter travel visits. Our choice this year was Barcelona, the Catalan capital that magically blends both metropolitan and small-town atmosphere. I share here my top design picks that intrigued and inspired my creative side. 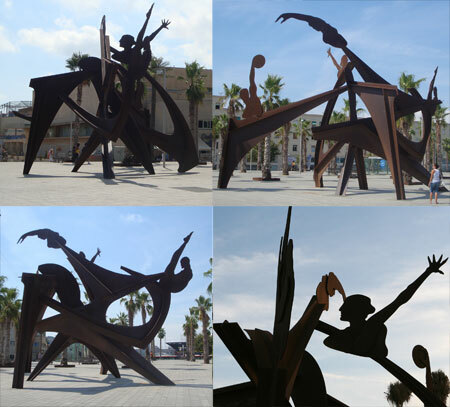 Barcelona is the city of monumental art. Every city corner seems to have its own beautiful street sculpture: The surrealist “head” sculpture of Pop artist Roy Lichtenstein; Rober Llimós’s “Frame” sculpture; Antoni Llena’s curious “David & Goliath” sculpture; Miro’s Dona i Ocell and many many others. My personal favorite monumental street sculpture was by far the one at the Platja de San Sebastian, which to my surprise is an “anonymous” piece of art: It is not clear what the title of the sculpture is, and who is the designer behind it. My investigation with the locals didn’t lead me to any further info. In any case, this beautiful three dimensional design embodies the spirit of the 1992 Olympics games, ever present across the entire city. You know that a visual identity is complete when even the signage icons are so unique and speak the same consistent visual language as the rest of the design elements. The visual identity at the MareMagnum shopping is such an example of consistent design. The iconic illustrations are recognizable, playful, functional and in line with the logo design and the rest of the identity system. This famous Barcelona café might well be a tourist trap. It is in every tourist guide and one of the massively promoted highlights of the city. Yet I was encouraged to visit it because I wanted to see its printed menu, which seems to be designed by Pablo Picasso in one of his first commercial commissions. Picasso’s graphic design skills weren’t unfortunately what I expected. At least not in this menu, where his nice illustration is just stuck on its cover. A practical reminder of the specific differences between the world of fine art and the world of informational and typographic graphic design. The interior of Els Quatre Gats is however what I found most rich. And this relation between the mood of the café and its printed menu is what I wished could be more present: How would the graphic and typographic design of the menu reflect this rich iconic Modernista interior? It seems like a wonderful assignment to give for design students; or a nice challenge for anyone who wants to surpass Picasso in one way or another. There are so many museums to see in Barcelona and to my surprise my favorite was not a visual arts museum, but the science museum CosmoCaixa. This most visited museum in Europe reflects the best practice of exhibition design: Navigation through the space is well planned and structured. 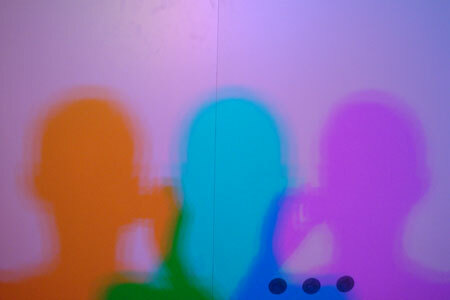 Playful and engaging interactive design station cleverly presents all sorts of fascinating science areas. Information design and graphics are nicely implemented. A must visit for anyone interested in space design and creative experience design. An advertising campaign with a strong graphic approach, good typography choice and simple iconic illustration is something advertising agencies in the Arab World could learn from. I enjoyed seeing this colorful campaign across the streets of the city. The campaign basically warned against penalties imposed on aggressive or inappropriate street actions. In Barcelona, everything fits but no everything is allowed. As a type and typographic designer, I was obviously interested in researching the local type design scene. My favorite type design source from Barcelona remains Type Republic, founded by designer Andreu Balius. This independent type foundry provide type with a local flavor and even with a wider Mediterranean flavor. Barcelona’s oldest milk bar, this charming cafe feels authentic and is actually delicious. 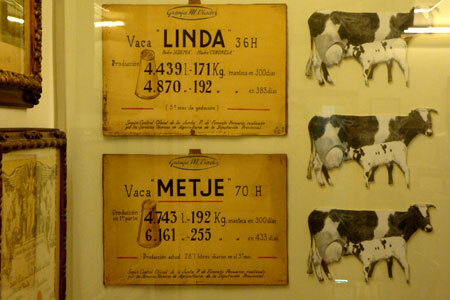 The walls inside Granja M Viader are fully decorated by century-old advertisement. It gives the place a vernacular dimension, rightly reflecting its long history which started back in 1870. 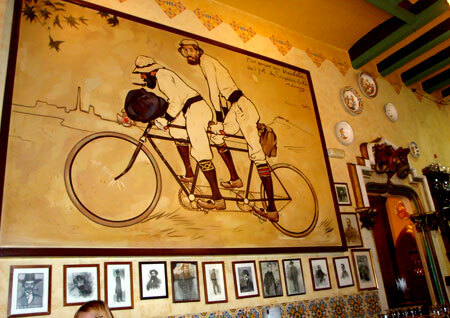 Besides enjoying the famous “Cacaolat” drink, the framed historical prints on the wall are a guarantee to keep any designer visually engaged. It is simply like being in a cafe with a special “history of graphic design” theme: Plenty of typographic details to look at; Logos from the 1930s; as well as expressive charming illustrations. 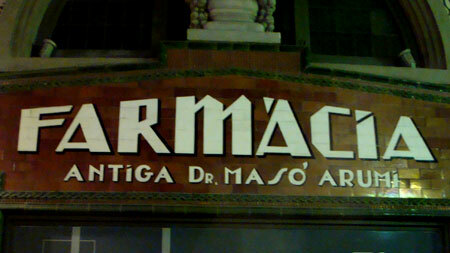 The Farmacia Nadal sign is just one of many beautiful examples of charming street typography, graphics and urban art. This specific example might be a very visible one, since it is located on the famous La Rambla street. Yet every corner of every street presents so much hidden street graphics to look at: Shop signs, Pictograms, graffiti, wayfinding icons, door numbers and all kind of real street art. Two books superbly document this. ”Barcelona Grafica”, by America Sanchez, features around 2000 well photographed and documented selected examples of urban graphic art. 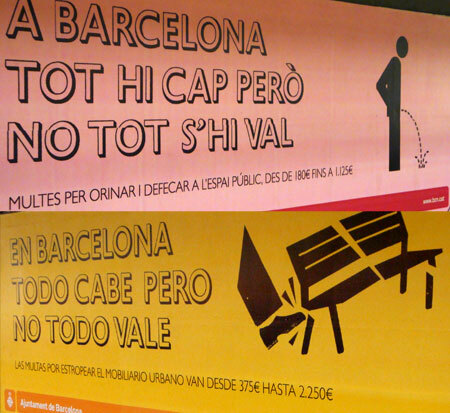 “Graphicity Barcelona” by Louis Bou, offers as well a visually stunning collection of street graphics. It is not surprising to see great architecture in Barcelona. This is after all the city of Gaudi. But what makes the Santa Caterina Market a unique public space is the fact that it combines glorious architecture with a refined taste for colors. 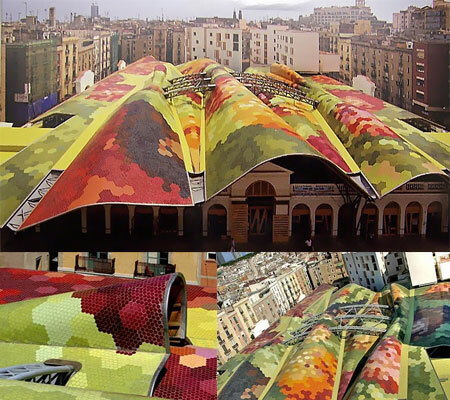 The market’s roof wave-like structure is covered a magic carpet of endless colorful ceramic tiles, creating a unique blend of graphical 2D design with 3D architectural design. It simply reflects the actual rich colors inside the market. This is a must see, particularly if you manage to see it from a window or balcony in the surrounding buildings. There are definitely so many more inspirations from Barcelona. But what I listed above is what topped my notes in my sketch book. For now, next year’s “Nomad office” destination is the main brainstorming topic!